I can hardly believe it but I am running low on my haul from Istanbul. I will have to finally check out that candy shop in Chinatown I have been eyeing! Hopefully I can get some interesting stuff. Today we return to the familiar war zone-the battle of the gummy pairing. Before we start however I wanted to give a special shout-out to a fan I met during a twitter chat. I won’t mention your name but it was fun chatting with you! If you are interested in following me on twitter, my handle is @BraveBrasington. I mostly talk about public health stuff. I chose tempranillo because, while it has an undeniable fruitiness, it also has other rich flavors that balance out the sweetness. 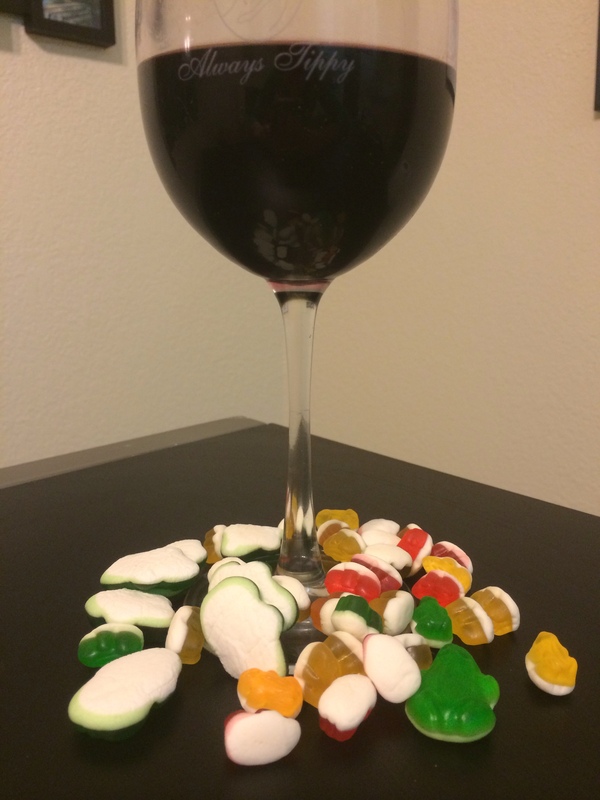 In past pairings, I found fruity red wines went well with gummies so I wanted to keep to that trend while challenging it slightly. The tempranillo is quite lovely actually and smells of licorice and blackberries. 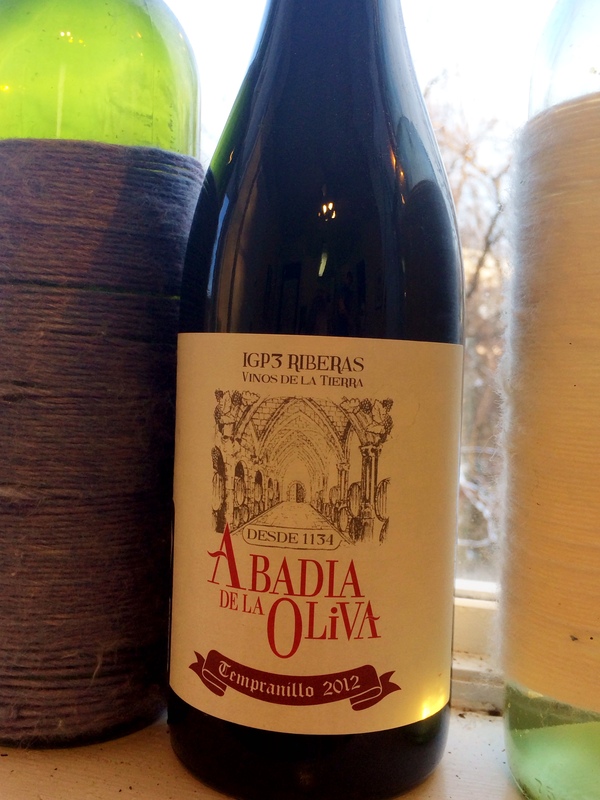 The wine goes down smooth with a slight acidity and dryness. The small frogs are the superior pairing since they are fruity. The wine is not thrown and the fruity frogs draw out the wine’s sweetness. The big frogs are a BIG disappointment. Their flavor is not that distinct and the wine’s flavor is altered. It’s not terrible, but not great. Overall? The fruity gummies go well with the fruity wines. 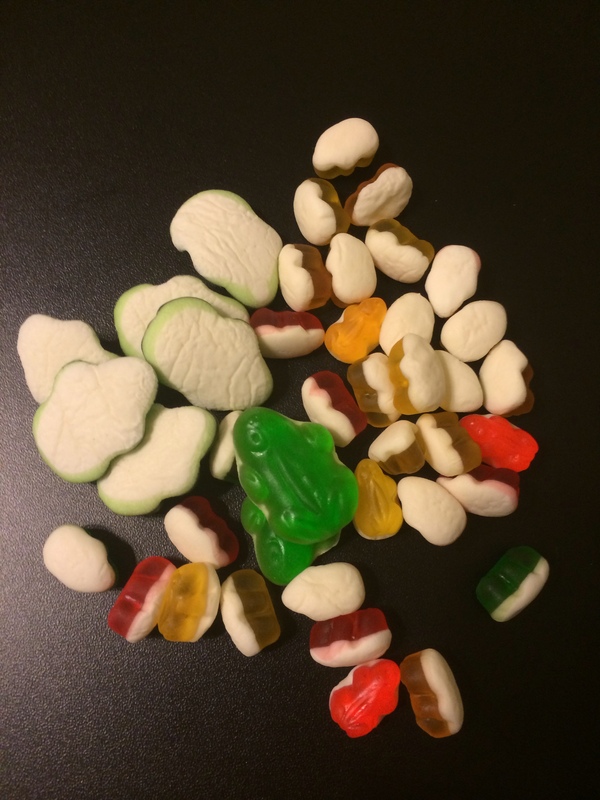 However, I don’t know what to do with the non-fruity gummies. I think we will try the cola bottles or something sour for the next gummies. I’m always up for a challenge! 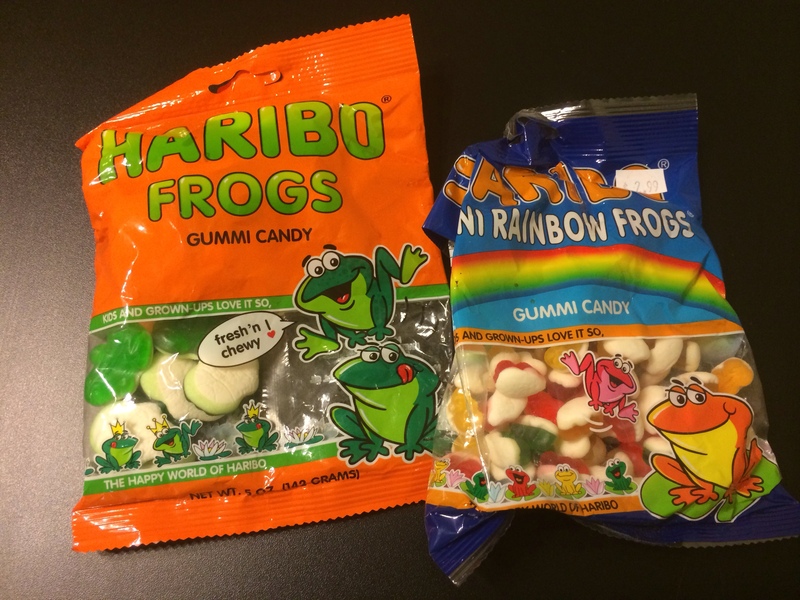 Posted in Uncategorized and tagged Candy, Gummy Frogs, Haribo, pairing, tempranillo, Wine. Bookmark the permalink.